If ye be a Scot… it’s is time to haul out yer kilt, air it and get ready for the first Highland Games gathering in Gauteng. On the 21 June 2014, and in partnership with ‘Scottish Leader’, Glenburn Lodge and ‘The Star’ a typical highland gathering will be staged at the appropriately titled Glenburn Lodge, in Cradle of Humankind. Highland Games, in its original form, centred mainly on “heavy athletics” with events such as tossing-the-caber, carrying the weight and tug-of-war. The Olympic events of the shot putt and hammer throw have their roots in highland heavy athletics. 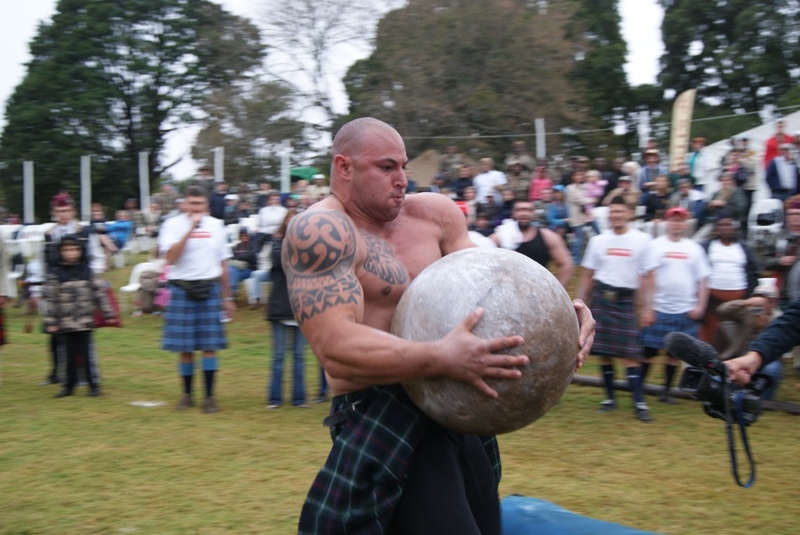 The “heavy athletic” statistics are daunting – Tossing the Caber weighing 75kgs, Carrying the Weight at 74kgs, the Shot Put at 26kgs, plus Tug o’ War and the kilted mile – a race up a steep hill over rough ground. Today, the athletic events of ancient Scotland are central to modern day gatherings along with the kilt, whisky, haggis, pipe bands and Scottish dancing. The Scottish Leader games will feature ten teams competing on the main field – six civilian teams including a team from the Lions rugby franchise, and four military teams. The Muldersdrift police command is also in training and will be sending a team to participate. The pipe bands of African Skye, Glen Allen, Kempton Park, the national youth Pipe Band and Pretoria Highlanders will provide the day’s music plus there are craft vendors, a sheep dog display and a military equipment display from the South African National Defence Force. The official opening of the games at 12 pm will see over 200 competitors and pipers on parade. The Muldersdrift School choir will sing the national anthem at the grand opening. Other entertainment includes Scottish dance displays, a tea garden hosted by the Rotarians, fascinating displays of herding prowess demonstrated by man’s (and sheep’s) best friend – the Border collie, a parade of Triumph Vintage cars. Club, and the ever popular beer tent promises and Scottish leader whisky will be holding whisky tasting during the day. Children will be well catered for with a Jungle Gym, a Jumping Castle, a Slush Puppy stand and an Ice Cream Stall.